Robert Indiana (1928 – 2018) was closely associated with the hard-edged painting and Pop Art movements. Using the formal vocabulary of advertisements, his work often explores the power of words and numbers. 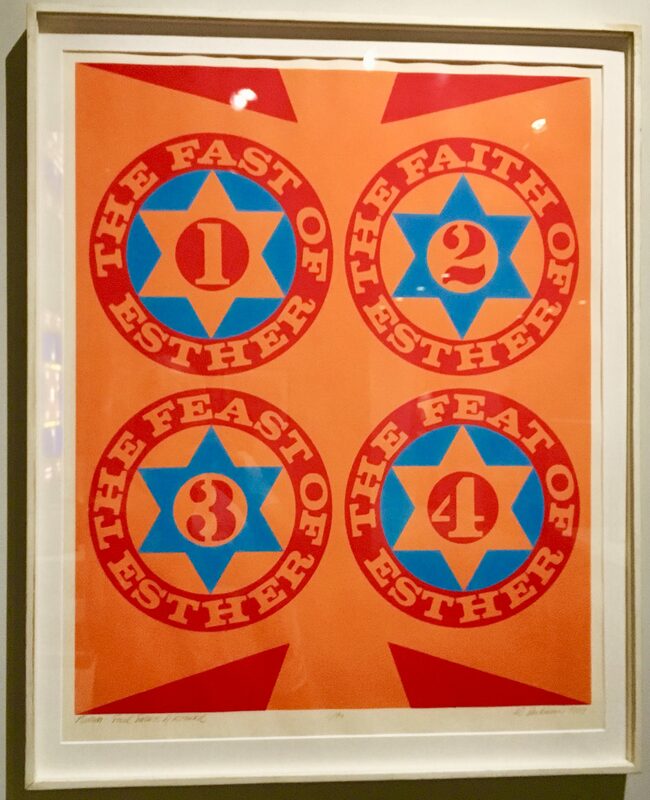 In Purim: The Four Facets of Esther II (1967), he represents Stars of David and elements of the Biblical story of Esther, who was Queen of Persia in the fifth century BCE. Esther saved her fellow Jews from destruction, the feat to which Indiana refers in the fourth panel. The Jewish Museum (where this photo was taken) commissioned this print in an edition of ninety for its annual Purim fundraising ball in 1967.